9am: Wake up in our bunk beds and sleepily say good bye to Megan as she left for work (Christian usually had paddling early in the morning or an early meeting). 11pm: Head to bed to adventure again the next day! Sandwich those weekdays with family hikes, brunches, and exploring on the weekends and you have yourself a happy paradise! We quickly learned about the different transit methods that would get us around the city, and boy are there a lot of options! Taxis are everywhere, and though they're a lot cheaper than other western cities, it's easy to rack up the bill on $10 taxi rides. So we generally elected for the MTR (subway), buses (though without a map on the stop it was hard to figure these out without prior research), minibuses, and of course the tram (unofficially named "ding ding" or if you're me, the "clickity clack"). The tram was our favorite by far, with only one major line traveling east-west through most major areas of HK, and for a mere $.30 per ride. And with a refillable Octopus Card accepted on all forms of transit (and many stores), it's so easy to get around HK! 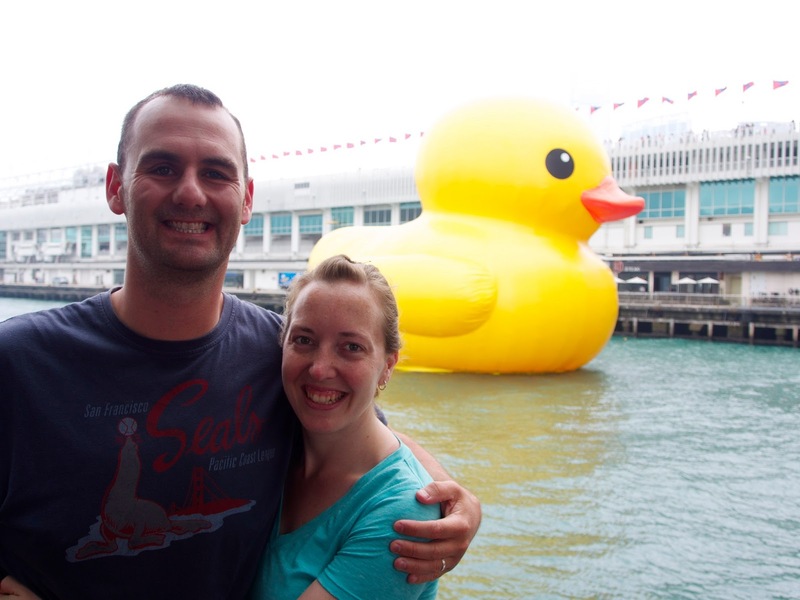 Add to our daily regular itinerary some extras: the giant yellow ducky that floated into the harbor on our last week, and practically all of China was there to see it, so on our last Sunday we elected not to elbow our way through the crowd to see a 6-story high duck. But the morning of our last day in HK, Molly really wanted to see it, so we joined the monday morning crowd and it was fabulous fun! 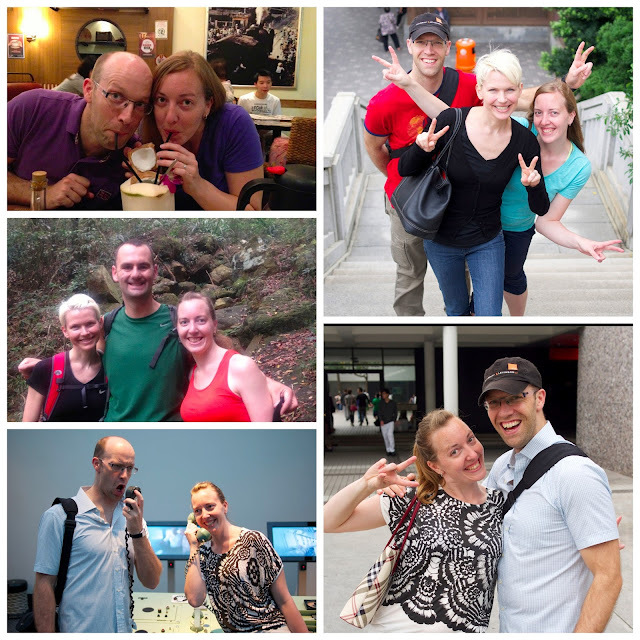 Also, our first weekend together, Christian and Megan took us to the Chi Lin Nunnery and Nan Liang Garden, a lovely (and free!) 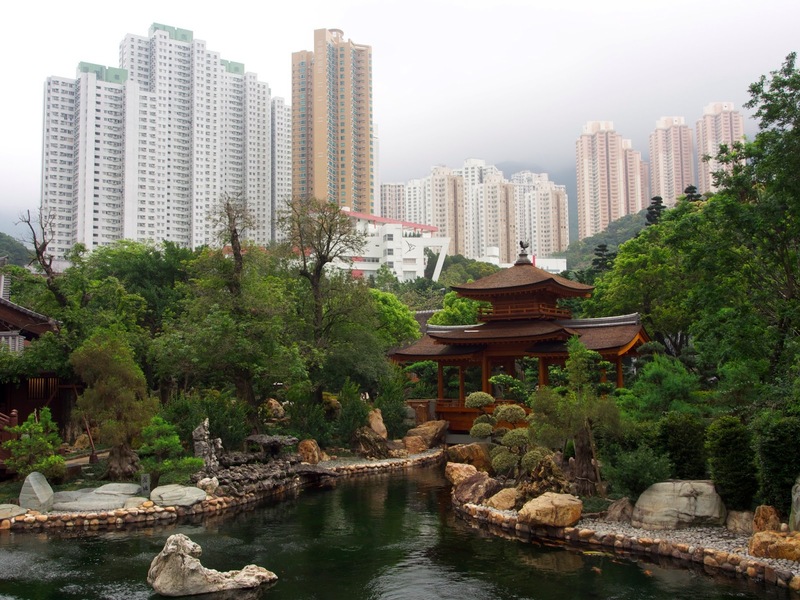 garden and temple on the Kowloon side of the harbor. It was serene and beautiful, and absolutely lovely way to find quiet respite in the middle of a busy city! 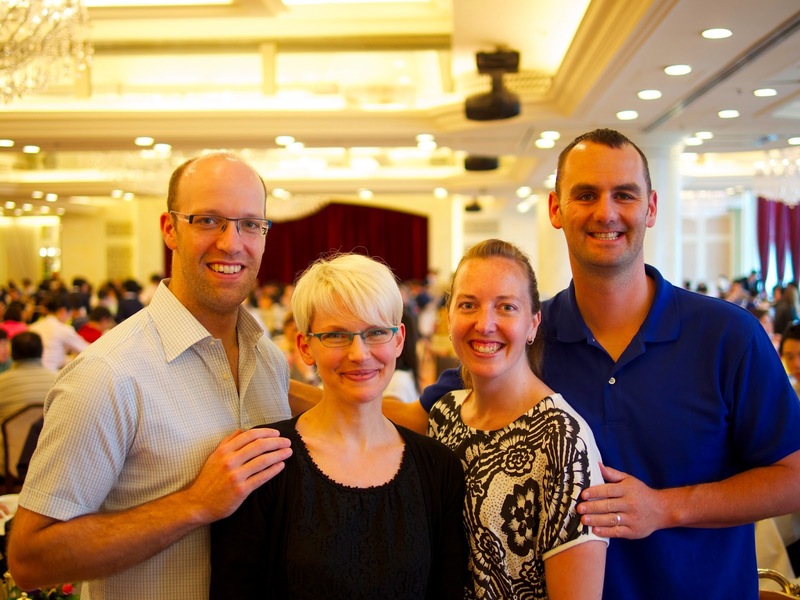 We had a lovely 2.5 weeks in Hong Kong and felt so blessed to get to spend so much time with Christian and Megan! Total overall costs for Hong Kong: $94.65 US per day, for 17 days. The majority of this was transit and food, as we didn't have to pay for a hotel (thanks C and M!). We also did go to Ocean Park amusement park, which was $40 each (well worth it! ).